Happy Sunday! What a gorgeous Sunday in Northern CA! it's cold but beautiful. The Sierra Mountains Glisten with snowcaps, so pretty. I can see them from the street in front of my house. 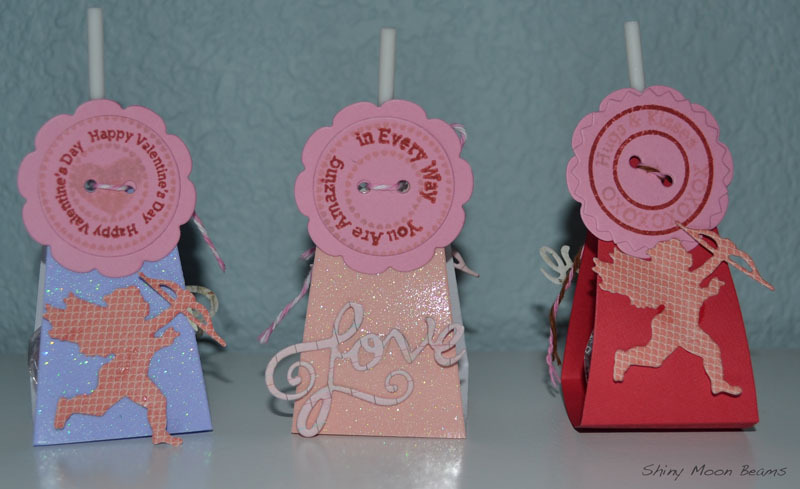 Here are some cute fun crafts I worked on this week. Cute Strawberry Treat Boxes, I got the Die to make this from My Favorite Things it's pre-scored so that makes it easy and already embossed! Love that. Valentine Lollipop Holders, I got the Die & Stamps to make these from My Favorite Things. These are pre-scored as well and I added some cute Cherub and Love Die accents to it from Savvy Stamps, My two favorite companies are My Favorite Things and Savvy Stamps. Side view of the Lollipop Holder, I glued down the lollipops to the bottom. A cute Poinsettia Thank You Card I made for a good friend who made me an adorable shawl for Christmas. 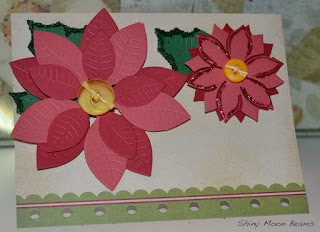 I used My Favorite Things Large Poinsettia Die and the smaller one is from Savvy Stamps. A good dear sweet friend of mine from Italy Mary Grace has Breast Cancer, she gave me a beautiful Sunflower painting last year she painted so I am sending her this card with my thoughts and prayers and a gift I made her. 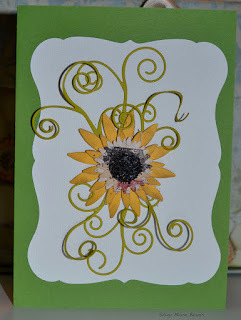 I made this card with Die-Namics Sunflower Die, that is from My Favorite Things, The frame behind it, the Debutante is from Memory Box. Another favorite company of mine to purchase craft dies from. The vines I made from a Swirly Tree die from Memory Box since I didn't have any vines in my stash of stuff. I finished another embroidery last week the flower one..all done. I am currently working on the 4th one. 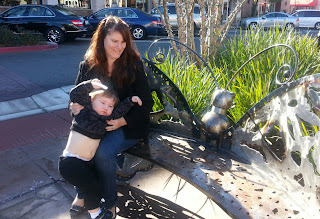 I have slowed down a bit this past week because I was out with a friend and to see my grandson and daughter and Steve had a day off in the middle of the week. This image is from my cell phone of the flower stitchery. I now upload my smartphone images to Picasa Photo Albums. That is really really cool I love that. I am having a hard time deciding on the last floral stitchery, I just cannot find something I am thrilled with. I am going to make a quilt with the four panels. Diet and Eating Healthy. I have come up with some healthy food ideas and a good method to lose about 5 to 6 lbs in one week. I have a great metabolism so this works for me very fast. I eat mostly protein through the week and no more that 60 to 80 carbs per day, I eat strictly protein foods and veggies that are low in carbs, there are a lot. I didn't count carbs on this because it's the weekend and I eat what I want on the weekend within limits. This is Dannon 80 calorie cherry light & fit Greek Yogurt with fruit on the bottom, Fresh Strawberries, Blueberries and Kiwi. The yogurt is 80 Calories and the whole bowl full of yumminess is less than 200 calories. 9 grams of Carbs. This is all less that 60 carbs for sure. I used about 1 cup of the fruit over the top of the yogurt. For the container of greek yogurt it is 9 grams of carbs and zero fat. Kiwifruit is literally filled with fiber. All those little black seeds combine for a good dose of insoluble fiber, which aids digestion by decreasing the transit time of stools through your system. But kiwifruit also offers soluble fiber, providing bulk that promotes the feeling of fullness -- a natural diet aid. By creating gel-like substances that trap bile acids, it has the potential to reduce blood cholesterol levels. As well as Vitamin C, Carotenoids, antioxidants. Low in Calories about 45 calories for one kiwi. No Fat. Low in calories, Vitamin C, Magnesium, Potassium, Antioxidant and Anti Inflammatory. No fat and one cup is only 53 calories. It is known from some of the studies that blueberries slow down the aging process on nerve cells. The oxidative stress on the nerves caused by damaged oxygen molecules was observed to be decreased by blueberries. Blueberries contain anthocyanin which is called as anti-inflammatory substance. Anthocyanin present in blueberries is known to soften the arteries and prevent them from getting constricted due to stress. Vasoconstriction caused by stress induces high blood pressure which can result in cardiovascular disease. The relaxation of arteries occurs due to increase in nitric oxide provided by blueberries. Blueberries also improve the mood status by transporting energy to the brain. 40 calories for 1/2 cup, a little higher in carbs, but worth it because of the nutrition value. Little Boy Big Cup it's just water and ice! 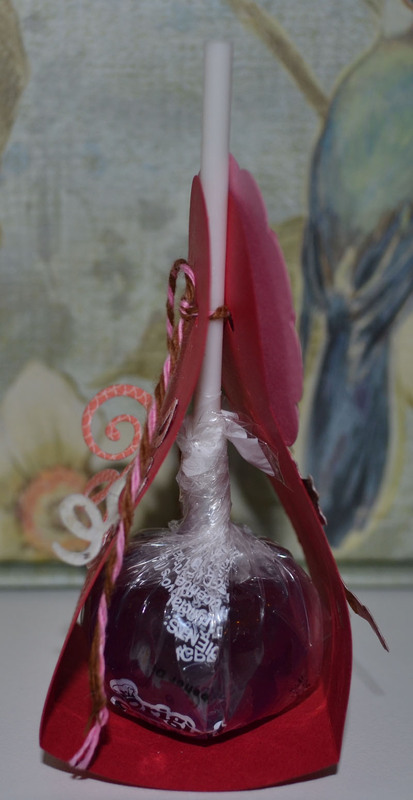 Okay that's the end of my Potpourri Post. such pretty gift boxes, especially love your strawberries. Lovely flower cards. Your embroidery looks terrific, can't wait to see the quilt you end up making with them!! Dark chocolate is my favorite on your list! 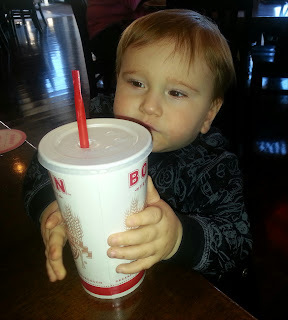 I love everything!The strawberry are so cute ,but the cutest of all is Rylan with his "Big Cup"!